This image demonstrates two things.. no three. Firstly that dsc is up and running at Donington Park today, secondly that the weather here is just about perfect, and thirdly that Laurence Pearce has been at it again, with another revision to the nose of the Lister hybrid. "We were in the wind tunnel at MIRA last night," says the big man, "and it is producing much better figures (than the Le Mans front end). We'll see how it goes tomorrow." It's certainly a much neater, more purposeful look. 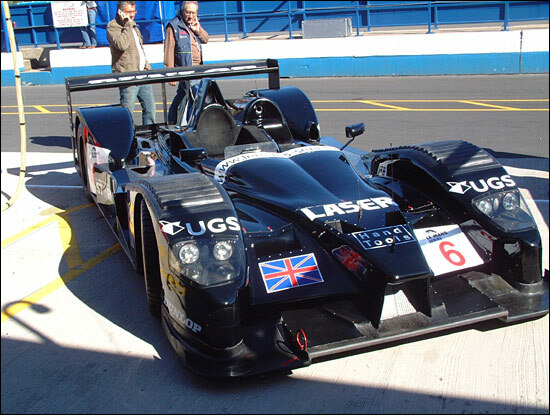 More from Donington Park this afternoon. It's motorcycles whizzing round here today.